This Slat Wall Shelving is Constructed from Clear Acrylic! 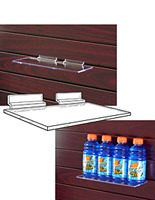 Showcase Your Products Using this Slat Wall Shelf! 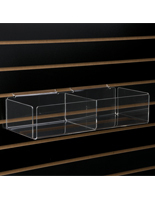 Slat Wall Shelving with Lip 10" x 5.5"
This slat wall shelving is a great addition to any slatwall display. The slot wall accessory, slat wall shelving has easy to use slat hooks. 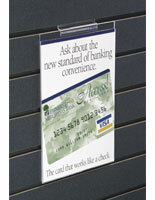 The slat hooks slide into the slat panels without adhesives or tools. This slat wall shelving is a great accessory for customizing any display. 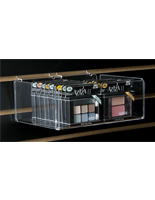 This shelving is the best choice to merchandise products at retail stores. 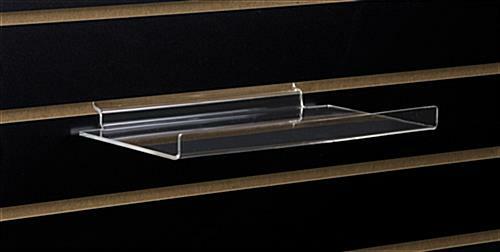 This slat wall shelving, also known as a slotwall shelf, is fabricated from clear acrylic. 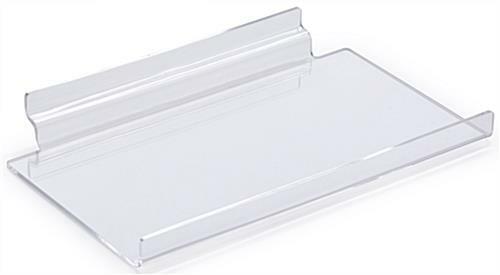 The clear acrylic allows your products to stand out. This slat wall shelving features a 1/2"h front lip. The lip prevents objects from sliding off the shelf. 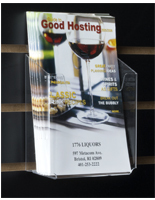 This is a great exhibitor supply for gift shops, collectible shops or retail stores. 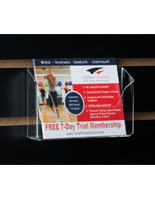 Slat wall shelving is a effective way to promote your products.